What could be nicer than sitting out on your balcony overlooking the marina and Bay while enjoying your morning coffee? That is exactly what you can do when living in this lovely studio at the Venetia. Marble tile floors and a nice size kitchen with granite counter tops and cabinets are just a couple of the highlights. There is a lot of closet space which includes a walk-in as well as other closets. In addition to everything in the unit, the community amenities include a restaurant, gym, 24-hour security and two pools. Take all of that and add location to the pack and you have the perfect place to live. Venetia sits just north of the Venetian Causeway making the drive over to Miami Beach short and sweet just like getting to Brickell, the Design District and Edgewater. Over the past three months, seven units have rented of which only one was a studio. The monthly rental for this unit (same size) is $1,300 and took a little over a month to rent. One-bedrooms that rented ranged from $1,500 to $2,000 per month. 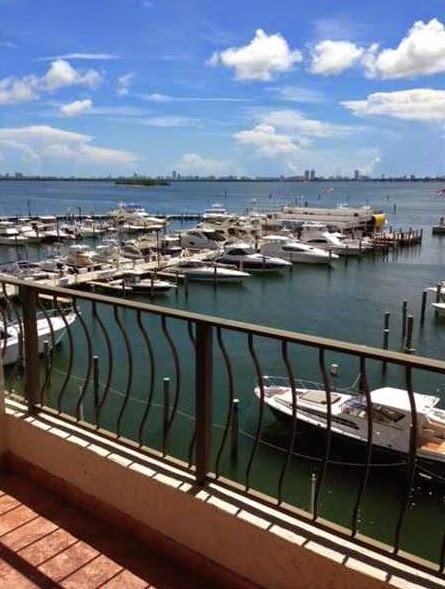 If you like easy access to everything in Miami and want one of the best views, then this unit is ideal. It does not get much better than this with one-bedrooms in the Downtown area of Miami. Not only is Baywalk centrally located close to the Bay, cool neighborhoods like Edgewater, Design District and even Brickell, it is oh so close to direct access to Miami Beach. Then taking everything in on the inside makes it even better where the unit is custom designed with a large kitchen comprised of granite counter tops, custom cabinets (lots of them too) and lots of room to move. Additionally, the flooring is marble throughout and there are so many unique fixtures and finishes as well as a walk-in closet with shelves and washer and dryer that residents truly find themselves living in the lap of luxury. Baywalk is a small, boutique condominium that has a ton of character with its classic Florida design and exclusivity with its updated look on the inside and in each unit. An ideal vacation spot in Downtown Miami, this is a one-bedroom, one and a half bath unit at The Grand which is part of the Doubletree Hotel. It is rented fully furnished and has a lot of open space within the 700 square feet. There is a roomy kitchen although as part of the Doubletree Hotel, there are restaurants on the ground floor as well as throughout the downtown area. Guests have the ability to enjoy hotel amenities including the fitness center, resort pools, spa and everything else. Inside the unit, enjoy free-Wi-Fi, cable and a reserved parking spot in addition to everything else. Even though it has one bedroom, it sleeps five with the addition of a pull-out sofa bed, two cots and a futon. The unit is a short-term rental allowing only nightly, weekly and monthly rentals (no annuals). Rental rates start between $175 and $375 per night ($95 exit cleaning fee) depending on the time of year. While there are several other one-bedroom units at The Grand, this is the most affordable property in the building. Here is an opportunity to lease a lovely one-bedroom unit at Ivette Terrace just one block off Biscayne Bay. There are so many unique characteristics here specifically gorgeous Mexican tile floors throughout and beautiful oak moldings and doors. There is also an all-white kitchen, French doors, a lot of closet space, a nice wrap around terrace, reserved parking and an amazing bathroom with an intricate Mexican tile design on the floors and walls. Ivette Terrace is close to everything in Downtown Miami including Margaret Pace Park and the Performing Arts Center not to mention being close to the Design District and up and coming Edgewater. 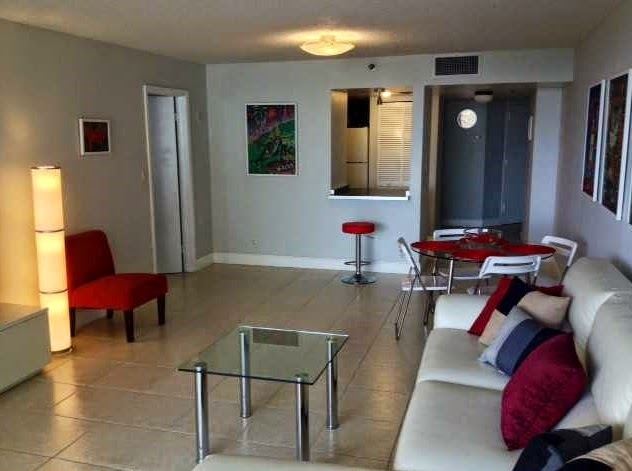 As one of the most affordable Downtown Miami rentals, it is ideal for those who live and work in Downtown, Brickell, or Midtown Miami. As trendy as Miami is to live, loft living brings another level to the cool factor with all of the unique characteristics and potential that a loft apartment brings. This unit is a fantastic one-bedroom unit with a great kitchen loaded with Italian white kitchen cabinets, stainless steel appliances, and tons of counter space. In addition, there is a nice modern bath, large closets, a washer and dryer and other fixtures and finishes that give this place an updated, hip feel. On top of the unit itself, the community amenities are fantastic and include a rooftop pool, gym with sauna and Jacuzzi, a lap pool, contemporary-designed lounge room, and 24-hour security and concierge. The Loft II is centrally located within minutes of everywhere anyone wants to go like South Beach, Coconut Grove, Gables, Brickell, Design District, and Airport. Over the last three months, 14 one-bedroom units have rented with rates falling between $1,500 and $1,800. As a comparison, three recent studio rentals had monthly rental rates $1,550 and $1,650 which were gobbled up within a month or less. Not only is this the most affordable one-bedroom unit available at the Loft Downtown II, it is the most affordable available unit in the entire building. 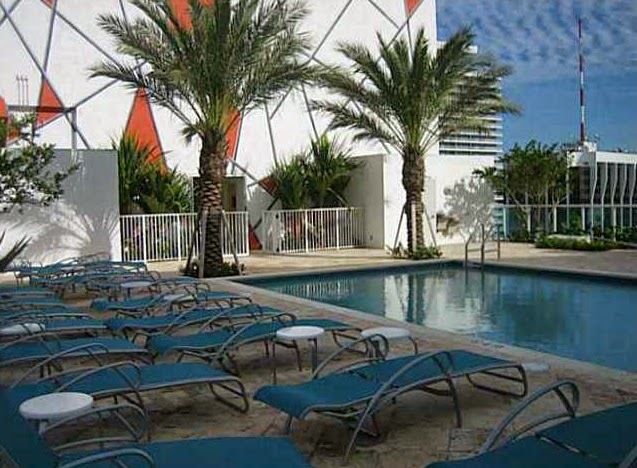 Downtown Miami is a great place to settle when looking at living in Miami and offers lots of rental options. From quaint and unique small condominiums to large, newly built buildings, Downtown Miami rentals should be at the top of the list of possibilities because this is an area where residents can truly get affordable luxury.